The number one goal most website owners have is to increase traffic. Sound familiar to you? 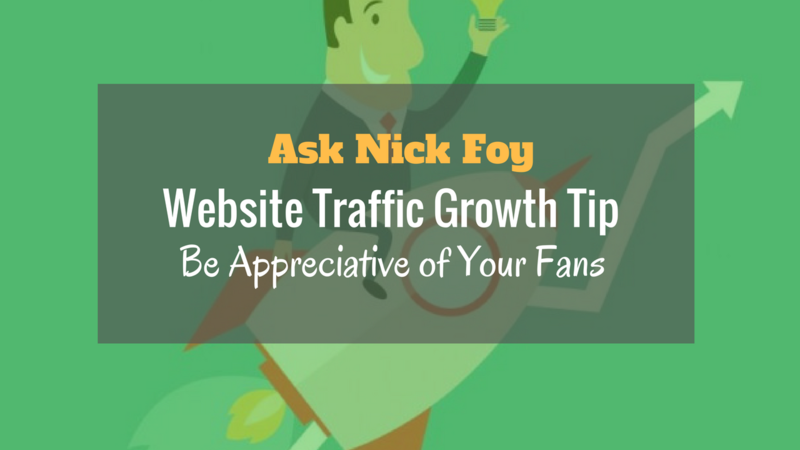 Having more traffic gives you a greater potential to earn more income. More traffic, more customers, more income. 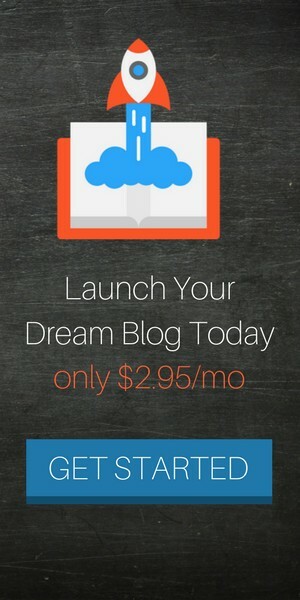 Imagine converting 1% of your traffic into paying customers. 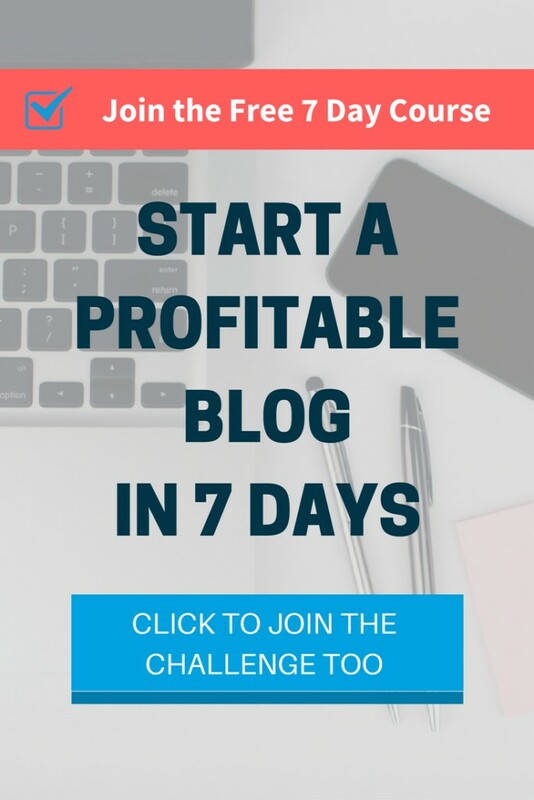 If you have a product that sells for $50 and you are currently receiving 1,000 visitors to your website each month, you could expect 10 visitors to become paying customers (1%). 10 customers paying $50 would result in $500/month in income to your online business. Increase this to 10,000 visitors and 100 buy from you each month (1%). This will result in $5,000/month of income. You can see now why increasing traffic matters. 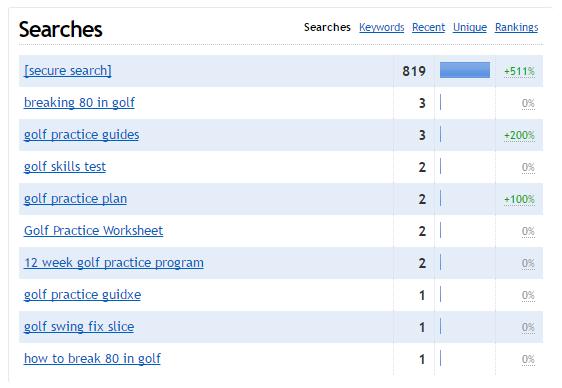 Golf Practice Guides, my first successful online business, has traffic of about 1,800 visitors per month. See the chart below. *Update* As of a year later in August 2017, my golf blog has now reached over 60,000+ monthly pageviews thanks to using Pinterest! Crazy right? Learn how you can drive massive amounts of traffic to your website by using Pinterest too! I use Clicky Analytics to track my visitors and the pages and links they are clicking while on my website. As you can see I get 1,800 visitors and over 3,200 page views per month resulting in 1.8 pageviews per visitor. My website does about $1,100 per month in sales for a $67 product, meaning I have about 17 customers per month. 17 customers and 1,800 visitors shows you my website converts about 1% of viewers into paying customers. Another statistic is that 33% of these customers belong to my email newsletter I set up using ConvertKit. I know that if I want to double my income I need to double my traffic to 3,600 visitors per month or double my conversion ratio from 1% to 2%. We’ll stick to talking about traffic in this article. To get more traffic to your website, you have to rank higher in Google and rank for a variety of different keywords. Golf Practice Guides ranks high in Google if you type in “Golf Practice Guides” as well as other golf longtail keyword phrases but can’t rank for short phrases such as Golf yet due to the major golf websites that exist. If you want to rank higher in Google, you need lots of other websites linking to your website, blog, and content you’re publishing. This tells Google other people find your content important and worth reading. It tells Google you are the authority figure, the go-to person for this subject. To get these back links you have to build relationships and to build relationships you must be nice, energetic, and engage with your visitors. If you don’t engage with your community of followers, then you’ll have a dead website and have ghost readers who never get involved with commenting. They comment on your blog posts. When you’ve written great content you want people’s feedback and therefore you ask a question near the end of your article. Hopefully people comment and then you can comment back and interact with them. This also gets others to engage when they see comments and gets them to look forward to future articles mainly for the comments at the end related to the article content. They subscribe to your email list. You want to build an email list so you can send quality and educational information to someone’s inbox and keep connected with them while they are away from your website or blog. They can email you directly. You become the go to person on a topic and someone will email you with questions that you can answer. This will build their trust, build their memory of your website, and help you get referrals to other people this person knows in the future. Cautionary Tip: When you link out to websites that are bad websites and not updated often, it can hurt your SEO rankings. Be careful who you exchange links with. Overall, be willing to help others and you’ll receive it in return. Don’t be money focused. Money follows passion, hard work, and helping others solve a problem. I just wanted to personally thank those of you who have linked to my blog from your blog or website and helped me increase my readership and traffic. Thank you for helping me to inspire more people to start a business online and build passive income! Once you’ve set up your WordPress website, the next step will be getting traffic to it. You can go the slow route and try to rank your website in Google using SEO. You can take the expensive route which includes buying Facebook ads.